Financial news agency Thomson Reuters has launched a Russian Sanctions Tracking Service to monitor the impact of sanctions on Russian businesses. The service will be updated daily from open sources and databases. The new tool will provide financial institutions, trading companies and investors with information on Russian companies that have come under the sanctions, their subsidiaries and associates. 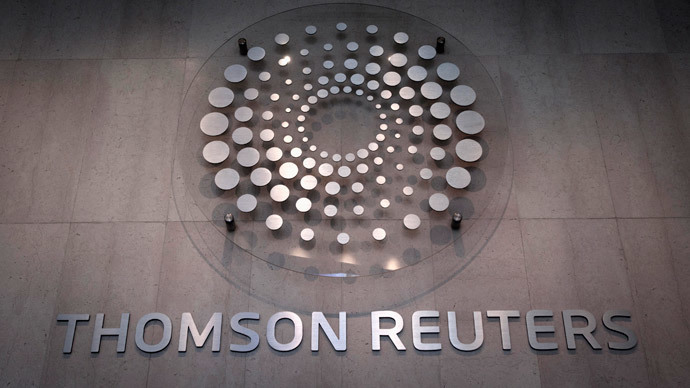 The service will track any corporate actions related to sanctioned entities and the issuance of new debt and equity that are restricted as a result of the sanctions via the Thomson Reuters DataScope Select platform. It will also identify the complex subsidiary relationships of Russian entities, said Tim Lind, head of Regulatory Services at Thomson Reuters. "Our new Russian Sanctions Tracking Service is an excellent addition to our existing Russian Sanctions screening solution available through World-Check," said Phil Cotter, managing director, head of Risk, Thomson Reuters. A World-Check suite of products monitors over 400 sanctions, watch, and regulatory law and enforcement lists, as well as hundreds of thousands of information sources. Thomson Reuters is not the only company to have started a sanctions tracking service. Risk Advisory offers a service that screens the owners and directors of the clients’ counterparties to ensure they are not affiliated with sanctioned entities or individuals. In 2014, the European Union and the US issued a number of executive orders and sectoral sanctions in response to Crimea joining Russia and the situation in Southeast Ukraine.